Yesterday saw a little top up of snow which improved conditions up on the mountain. 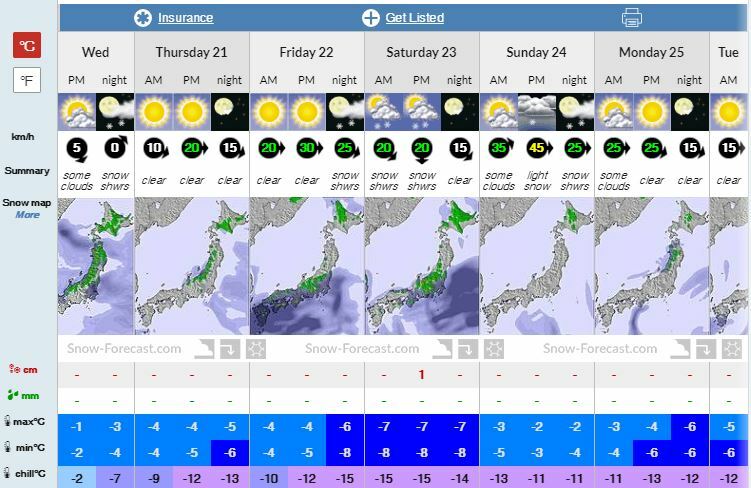 According to Niseko Snow Forecast, the next few days are going to be beautiful blue bird days, so touring might be a good idea for those wanting to get untouched lines that require a little more hard work to get to. Alternatively, you could try one of many snow activities in and around Niseko. Snowmobiling, snow shoeing, snow kiting, snow biking, tubing, zip lining, just to name a few great alternative activities you could do while we wait for the next snow dump to come in. Heading into late February, we will see hopefully another great dump or 2, but as always we will take what we get from the snow gods! Wondering what the next 6 days will hold? There are many forecasting website available so we are able to plan your week. Do you love the snow? Do you love motorbiking or ever wanted to give it a go?…… Why not try SNOWBIKING! There are a few companies in Niseko who provide the chance to mix the love of both. Check out a video from Niseko Snowbike Adventures below showing just what you could experience.